If you are looking for the best eye doctor in Wilmette, our optometrists at New Vision Optical Wilmette in Wilmette, IL will sort you out. Whichever eye condition you are suffering from, we have the most advanced systems and optometrists who will examine you and advise you accordingly. Here at New Vision Optical Wilmette, our eye doctors in Wilmette will treat and offer guidance to all our patients. 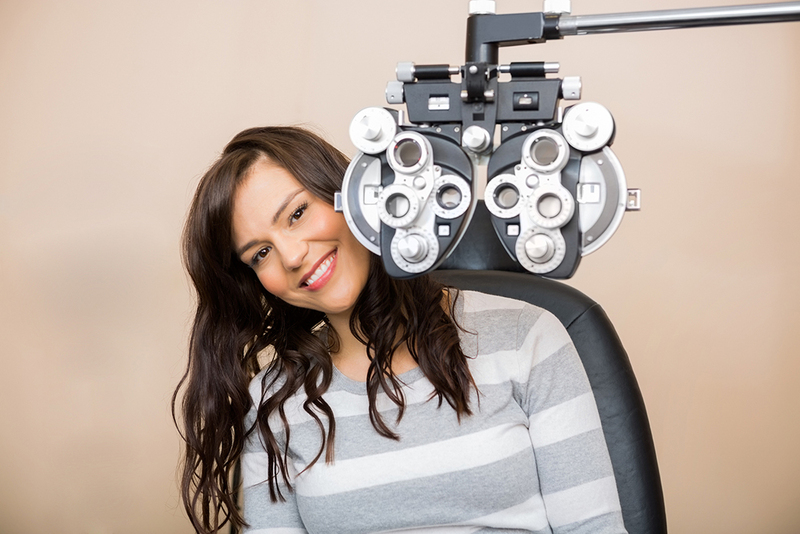 We have done this for over 39 years and we have the knowledge and experience to handle all eye-related problems. This is the most critical examination which involves thorough evaluation and checking of your eyes to see whether there are any complications. You should ensure that your family gets eye exam regularly. This is because, in case there is a problem discovered in your eyes, it will be treated earlier before it gets worse by our eye doctor in Wilmette. There are some eye problems that may render you blind if they go unnoticed for a long time. An eye exam will help us diagnose your problems early, and determine the most appropriate treatment for you, and prescribe corrective lens for you. At New Vision Optical Wilmette, we have optometrists who have reputable knowledge of sunglasses. The optometrists will suggest the best glasses that will correct your eyes. We also have a variety of frames from different designers for children and adults. You will be allowed to choose your preferred color and shape, and they will be tailored to meet those criteria. This helps you to maintain a decent look while protecting their eyes. Below are some of the eye conditions we treat. Myopia and Hyperopia: These two conditions can be corrected through prescription sunglasses that are designed to correct the condition. We have a number of lenses that will aid your vision. Dry Eye: We administer eye drops which will reduce the irritation in the eyes as a result of a Dry Eye condition. We can also offer advanced treatment to the patients if the condition is critical. Cataracts: We offer our patients advice to avoid being exposed to a lot of light. We also give them anti-glares to help them cope with excessive light. Corrective surgery can as well be done if the situation is worse. We also treat diabetic retinopathy and glaucoma. To book reservations or make inquiries, feel free to contact us at: 847-251-3330. You can also personally visit our New Vision Optical Wilmette offices located at 120 Skokie Blvd, Wilmette, IL.